14kt white gold custom designed Mothers ring for the unique Mom in your life!! 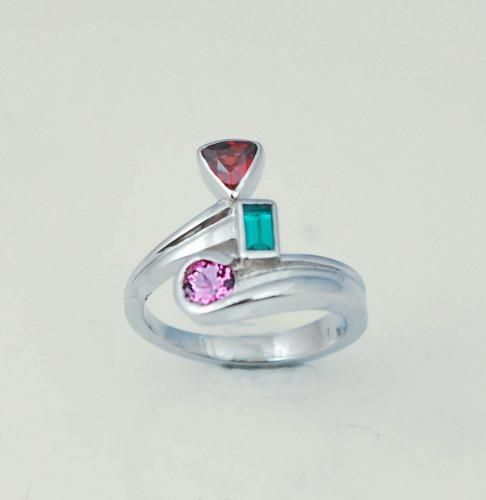 This ring is created with garnet,pink tourmaline,emerald. This ring can be done with any birthstones.